Please note: You only need to register your child if you will be leaving them with us. All children 4 years of age and under must be accompanied by an adult. Why do we need so much information? We take looking after your children very seriously, we want to make sure you or your emergency contact can be reached if there was an emergeny, and that they do not eat anything they are not supposed to. Data is not shared with any third party and used purely for the safeguarding of your children and the members of the team. Cinema Club will continue in 2018, so If you would like to register your children anyway please complete the form below. Please complete ONE form per child. There is an option to add additional children and duplicate the majority of the data on submission. Please make sure to check all data is correct. You will need to sign the forms when they are dropped off for the first time. If you have selected the option for them to arrive and leave on their own, we will still need to see a signed form so we your permission on record. For any questions at all do please ask. Safety is our number one priority! Does your child have any specific disability, communication or behaviour or medical needs? I agree for the above named child to take part in the activities of the CinemaClub. I confirm to the best of my knowledge that the above named child does not suffer from any medical condition or food allergies other than those listed above. 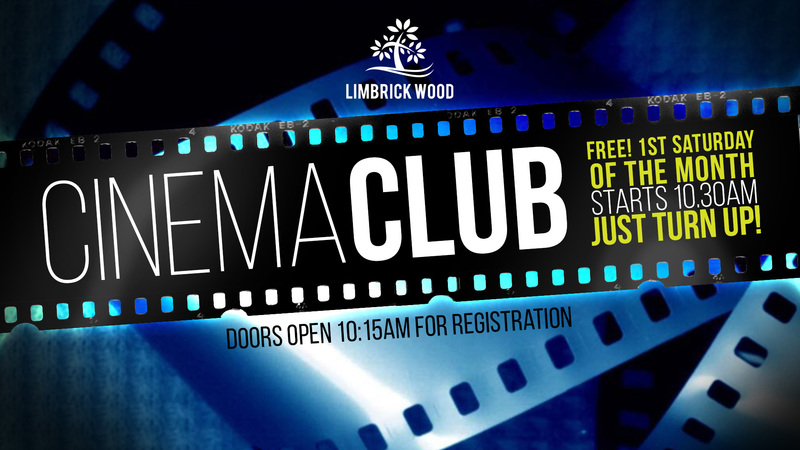 I understand that the Limbrick Wood Baptist Church who runs CinemaClub accepts no responsibility for loss, damage or injury caused by or during attendance on any of the activities except where loss, damage or injury can be shown to result directly from the negligence of the CinemaClub. By clicking one of the Register buttons below, you accept these terms.